We, the undersigned, strongly oppose the appointment of Dr. Ben Carson as the next Secretary of the U.S. Department of Housing and Urban Development. Apart from his personal views on a variety of political and social issues, we consider Dr. Carson completely unqualified to anticipate or promote appropriate solutions to the pressing housing and urban development needs facing our country. Created in 1965 to further the nation’s housing and urban revitalization agenda, HUD’s role has been to implement the nation’s housing goal, first articulated by Congress in 1949: “a decent home and a suitable living environment for every American family.” Sadly, this goal has not yet been realized. It remains, nevertheless, an aspiration that HUD is obligated to manifest, and one that will be greatly undermined should the U.S. Senate confirm Dr. Ben Carson. Numbering nearly four hundred, the signatories below include scholars and experts working in the fields over which HUD holds direct administrative responsibilities, including federally subsidized housing programs assisting lower income households, developing housing policy, implementing urban revitalization strategies, eliminating homelessness, and advancing homeownership and fair housing. Housing is an enormously complex issue. It requires, among other things, an understanding of finance, economics, labor markets, land use, transportation, energy, and the many legal underpinnings that govern housing and development policy. Dr. Carson’s education, professional experience, and basis of knowledge are wholly inadequate in these areas. Of additional concern, we have learned the hard way that when someone with such thin experience as Dr. Carson’s administers a large, complex department, the subsequent dearth of capable oversight and management leaves room for unscrupulous, exploitative behaviors, particularly on the parts of private contractors and interagency partners. Unfortunately, HUD has not been immune to corruption and mismanagement in the past. And it won’t in the future should the Senate confirm a HUD Secretary lacking basic familiarity with the issues under his jurisdiction. 2) Dr. Carson has expressed disdain for HUD’s mission: Among HUD’s key responsibilities is the enforcement of the nation’s fair housing laws — laws created to reduce discrimination still faced by non-white, disabled, LGBT, and other households seeking secure and decent homes to rent or buy. 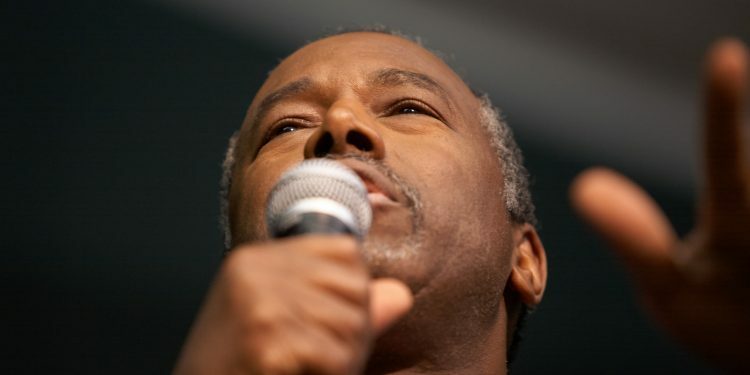 Rather than understanding the continuing need for enforcement of laws that protect the rights of all who are seeking housing, nor acknowledging that the government has an ongoing commitment to provide opportunities for low-income people who are eager to move to low-poverty areas, Dr. Carson has dismissed fair housing as being “a mandated social-engineering scheme.” He has shown nothing but disdain for HUD’s statutory obligation to affirmatively further fair housing. 3) Dr. Carson has displayed a lack of understanding of poverty and the role of government: Dr. Carson does not appear to appreciate the complexity and interplay of the many factors that result in housing being unaffordable to lower income people. Often, at the root of housing unaffordability are issues of poverty which, astonishingly, Dr. Carson sees as “more of a choice than anything else.” Dr. Carson seemingly does not comprehend how changes in the global economy, the loss of manufacturing jobs in the U.S., and the legacy of employment discrimination have collided to harm low-skilled workers and increase poverty. 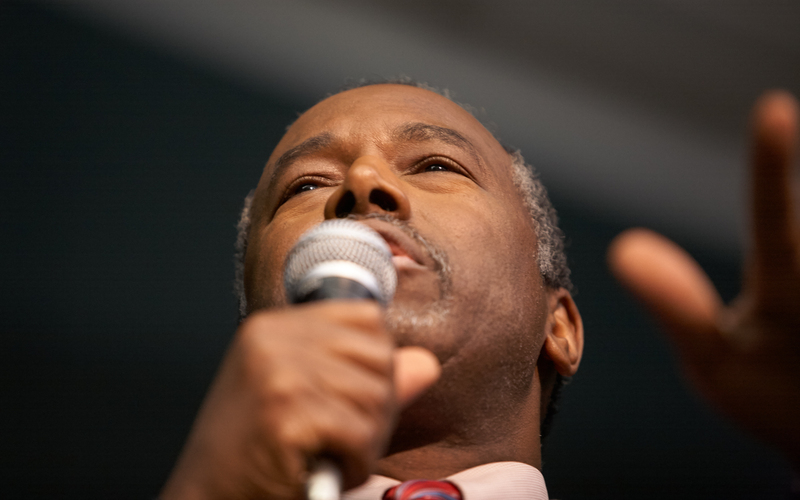 Moreover, rather than appreciating the critical role that HUD’s programs play in assisting millions of households to secure decent, affordable housing, Dr. Carson believes that individuals and church-based and other community initiatives can substitute for HUD’s programs. These were failed strategies pursued in the late 19th and early 20th centuries, and they have proven to be less effective than government efforts time and time again. Voluntary efforts were and remain important accompaniments to a strong federal role. In their scope, scale, or long term impact, however, such efforts cannot possibly replace the work of government. To conclude, we cannot imagine that a person with Dr. Carson’s views about fair housing, the role of government, and the roots of poverty could possibly be an advocate for the very programs for which HUD is responsible. We believe that the appointment of Dr. Carson would severely jeopardize the well-being of the nearly 5 million households across the country for whom HUD is their only means of securing housing. We strongly urge you to decline to confirm Dr. Ben Carson as HUD Secretary. Catalina Ortiz — Lecturer of Urban Design, University College London, UK. Kelly Quinn — Program Coordinator, University of Maryland — Baltimore. 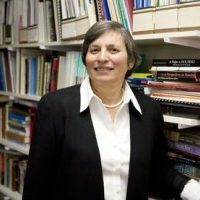 Stuart Ewen — Distinguished Professor of History, Sociology and Media Studies, Hunter College and The Graduate Center — CUNY.